The management of Delta State Polytechnic Oghara-Otefe has come up with a revised academic calendar for this 2018/2019 academic section to enable and fit in the activities. 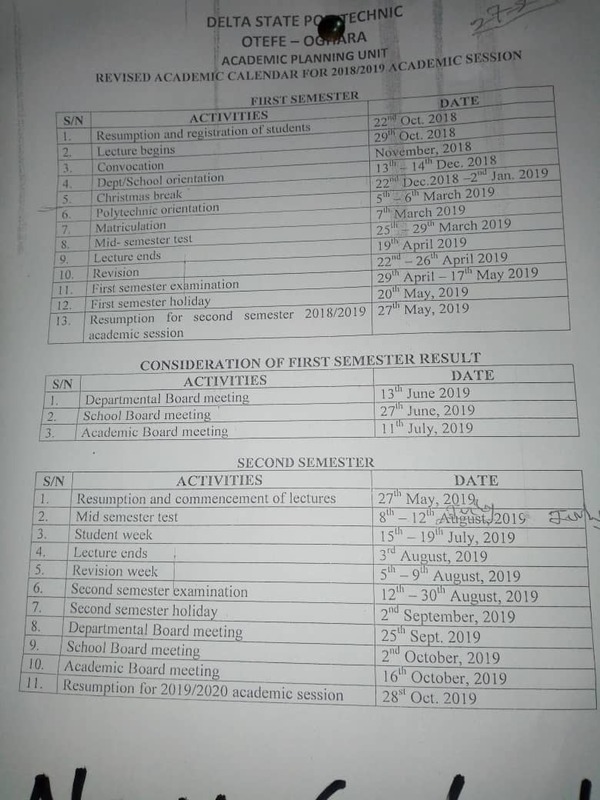 Due to the indefinite strike and holidays, that really affected the activities of most tertiary institution across the country has altered the first academic calendar as proposed by the management. 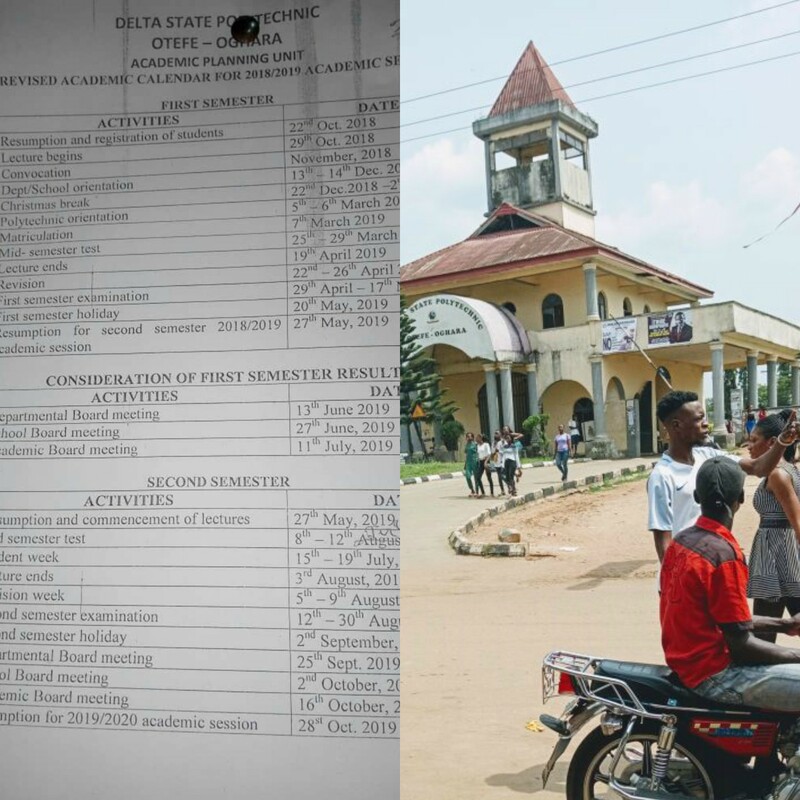 The planning unit of Delta state polytechnic Oghara-Otefe has come up with a new revised academic calendar for the 2018/2019 Academic Session. According to the Academic Planning Unit, Matriculation date is on the 7th March, 2019. On the 25th to 29th March, 2019 come up the mid-semester test, then first semester examination of Delta State Polytechnic Oghara-Otefe start on the 29th of April - 17th May 2019. Then the first semester holiday will start on the 20th of May, 2019. The sharing button below are easy to use, just tab on them it will share it automatically. If you have any question as regard any thing in DESPO feel free to drop it at the comment section below you can as well drop your Whatsapp number and we will give you the answer.